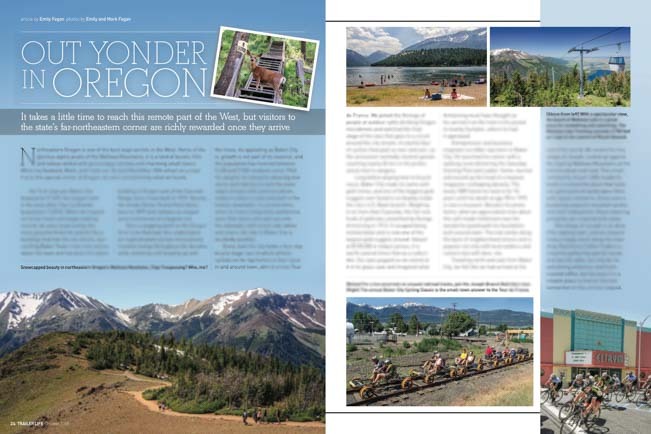 Oregon's Wallowa Mountains (and more) - In Trailer Life! Congrats on the Trailer Life article! It reminds me that my dad wrote an article that appeared in Trailer Life about 1951 when my parents and their four children (I was about 5 years old at the time) shared a 17-foot Trotwood travel trailer all the way from Indiana to Ft. Myers Beach for two weeks. We were on the cover of the magazine that month! What a thrill that must have been, Margaret! I can’t imagine two parents and four kids in a 17 foot travel trailer for two weeks, but then, in the mid 1960’s, my family (2 kids at the time) spent 2 weeks on a 24′ sailboat in the BVI — and of course we kids loved every minute of it. We didn’t make any magazine covers, though. Thanks for the story!